Xiaomi is reportedly working on a successor for last year's Xiaomi Mi 5X. Online leaks suggest that the upcoming Mi 6X will sport an iPhone X-like design with a vertical dual camera setup on the back. Two separate design leaks show a similar design in Black and Gold colour variants. 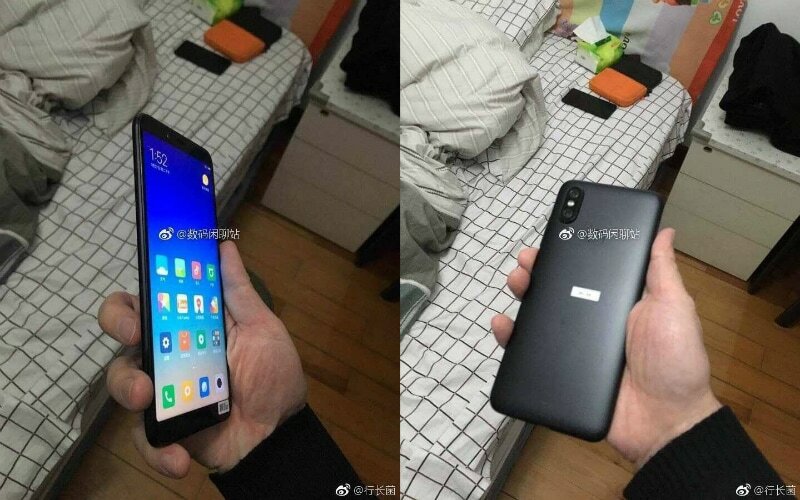 The leaks show a supposed 18:9 panel on the front and a fingerprint sensor on the back of the Xiaomi Mi 6X. The most recent leak, posted on Weibo and spotted by OnPhones, shows the phone from the front and the back. The most noticeable design change, as mentioned, is the vertical dual camera setup that resembles the one on the recently launched iPhone X. The predecessor Xiaomi Mi 5X sported a horizontal dual rear camera setup. The Mi 5X was launched in certain markets (including India) as the Mi A1, running stock Android and being a part of the Android One initiative by Google. Apart from the camera module, the leaked images also show a rear mounted fingerprint sensor that was also present on the Mi 5X. On the front, the leaked Mi 6X sports a full screen display with a possible aspect ratio of 18:9. The report suggests it could sport the same 5.99-inch 18:9 display last seen on the Xiaomi Redmi 5 Plus. It also speculates that the Mi 6X could be showcased at MWC 2018 next month. Another leaked image of the phone, posted on Slashleaks and spotted by Gizchina, shows the Xiaomi Mi 6x in a gold colour variant. The design is similar to the one leaked on Weibo. Additionally, SlashLeaks also has a supposed back cover for the Mi 6X will a cutout for the vertical camera setup. In terms of internals, while there are no leaks, the phone might be powered by Xiaomi's leaked Surge S2 processor. This processor features an octa-core processor, with four cores of Cortex-A73 clocked at 2.2GHz, and four cores of Cortex-A53 clocked at 1.8GHz. The processor is said to have a Mali G71 MP8 graphics processor, and support for LPDDR4 RAM and UFS 2.1 storage. This leak does also point towards a probable Xiaomi Mi A2 launch for markets like India later this year.